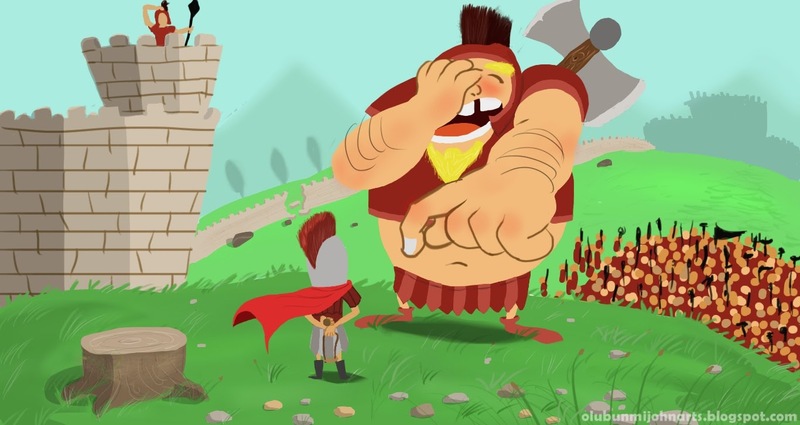 I cant help but imagine how goliath must have felt after been struck on the forehead by the stone david catapulted at him "OH! I should have believed in that name JEHOVAH..But instead i made a jest of it"...That must have been his thought before he was beheaded. Well,here is an illustration of David and goliath before the actual incidents,goliath seems playful and happy here,not knowing what was awaiting him.Had fun doing this though.Enjoy!